The downtown east river waterfront is looking suddenly very stylish with the unveiling of Pier 15. For ages the area has been a bottleneck of tourists and street vendors with scaffolding and bike diversions making for a rocky road around the ocean end of the island. But no more! The boards have been taken down to reveal a new Brooklyn facing pier not unlike the modern architectural design of the High Line. 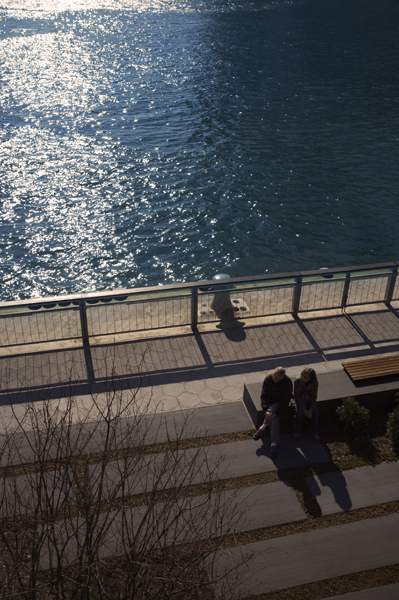 Lots of metal, wood and glass open up the space with attractive user-friendly features, like a grassy park area on the top level and benches cut into the railing to provide thoughtful perspectives out to the water. Bringing in the locals is a state-of-the-art dog run under the FDR ( complete with a fake tree for real relief !) The pathway going south to the heliport is all open grids so you can see the waves below. There is still work to be done to connect this to the Ferry Ports, but it won’t be long and we will be able to ride our bikes down the east side and easily connect to the Governor Island Ferry. AND there is now a subway station in front of the Staten Island ferry. I am sure this didn’t exist before. So you can jump on the red 1 line at Times Square and go all the way to the end. Take a picnic just in case the refreshment installation hasn’t opened up by then! 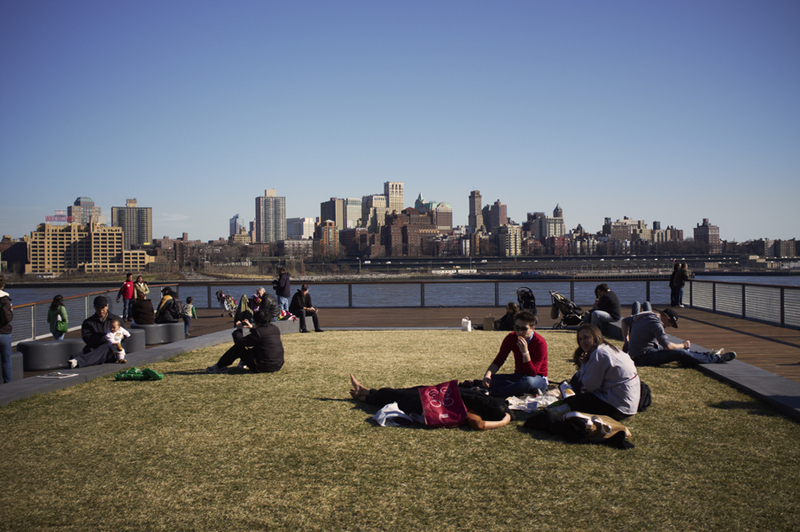 This entry was posted in art & inspiration, gardens and tagged Pier 15. Bookmark the permalink.